In 2013, more than $296,000 was distributed from the Akron Children’s Hospital Employee Foundation. 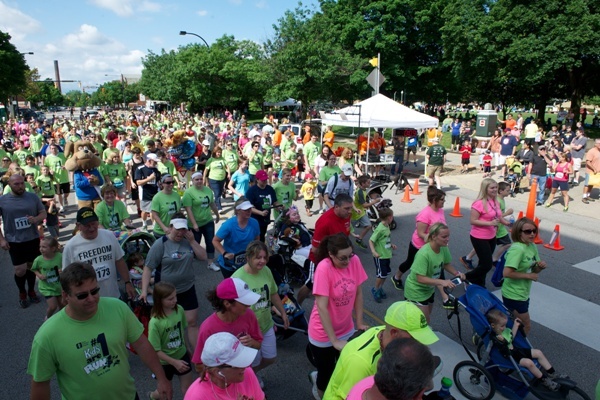 The Employee Foundation sponsors or organizes more than 30 events each year, including the Kids Are #1 Run, Harvest for Hunger events and the community drive, to name a few. The 2013 community drive raised $163,305 from 17 percent of hospital employees, who decided how much to give and where. “The Employee Foundation is focused on getting employees involved in giving back to the community, and involved in the decisions of where the money will go,” said Hofmann. The foundation also provides scholarships to dependents of hospital employees each year.